Bayern Munich's star striker Robert Lewandowski has broken his silence about wanting to leave the Bundesliga giants in May -- but insists he is ready to win titles again this season with the Bavarians. "In April, May, almost everyone took a shot at me," Lewandowski, who turned 30 on Tuesday, told German magazine Sport Bild. "I felt no protection from the club and felt alone in the situation. "I didn't score in two or three important games and suddenly it was 'fire at will against Lewandowski'. "I didn't see anyone behind me at the time. "Neither of the bosses defended me," he added referring to Bayern's president Uli Hoeness and chairman Karl-Heinz Rummenigge. 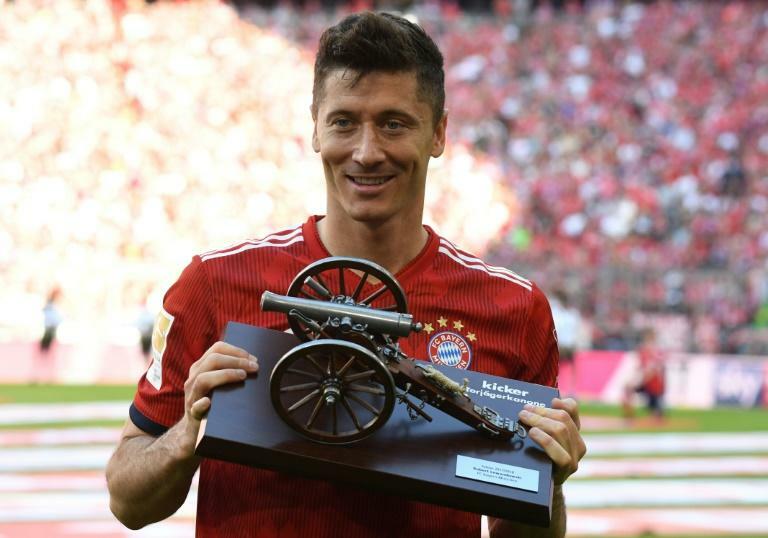 Lewandowski, last season's top-scorer in the Bundesliga with 29 goals in 30 league games, shocked the club in May when his agent Pini Zahavi revealed the Poland star's desire to seek "a new challenge". "I'm back putting my heart into Bayern. I noticed here in Munich how the fans are behind me and I realised, they still want me," he said. "That does not mean that he has to fix a transfer for me - there are enough things that a consultant can take care of," said Lewandowski.